Seek out English words and their Spanish equivalents! 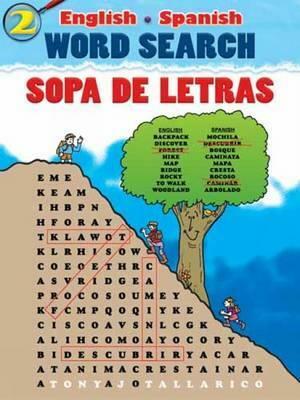 Each of these educational and fun word searches features 8 to 12 terms in both languages that name sights and everyday items, plus a playful illustration. These enjoyable challenges for those learning English or Spanish will also appeal to bilingual readers and puzzle lovers who appreciate word games. Solutions included.